Hebrews 9: 22 In fact, the law requires that nearly everything be cleansed with blood, and without the shedding of blood there is no forgiveness. Jesus is the Lamb of God. In order to understand what is meant when the Word of God calls Jesus the “The Lamb of God”, we must first take look at the very beginning of scripture in the book of Genesis, also known as the book of Beginnings. In the Book of Genesis Abraham is command by God to do something that God has never asked anyone else to do: Abraham is tested when God asks Abraham to take His only son whom you love, Isaac, and sacrifice Him there on there as a burnt offering. Keep in mind that God would never ask us to kill our Children, but, this was done to test Abraham’s faith and to provide as a symbol of what God would do through His only begotten Son Jesus Christ. 11 But the angel of the Lord called out to him from heaven, “Abraham! Abraham!” “Here I am,” he replied. 13 Abraham looked up and there in a thicket he saw a rama caught by its horns. He went over and took the ram and sacrificed it as a burnt offering instead of his son. When the boy Isaac asked his father Abraham, “Father, the fire and the wood are here but where is the lamb for the burnt offering”? Abraham’s response was, “God will Himself provide a lamb for the burnt offering”. Abraham knew deep within his heart that God would provide a substitute sacrificial lamb for his son and that God would not let his son see death, this is why Abraham prophetically said “God will Himself provide a lamb”. This was a prophetic utterance of what God would do through Jesus Christ. 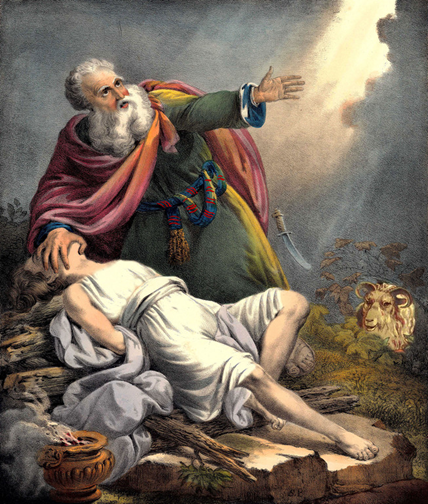 Abraham also knew that if Isaac did in fact die as sacrificial lamb, that God could raise his son Isaac back from the dead and he would receive him back from the dead and by thus do so defeat death, as God would also do through His son Jesus. God also said to Abraham that through you all nations of the Earth will be blessed, this is a prophecy of Jesus Christ. Jesus is the seed or offspring that would come through the family line of Abraham, Isaac and Jacob, in which all Nations of the Earth would be blessed. 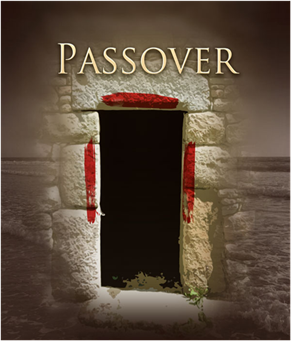 The next time we see the Lamb mentioned prophetically in scripture is when God commands Moses to instruct the Elders of Israel to kill the Passover lamb and to apply the blood of the lamb to the two sides of door posts and the upper posts. This was another symbol of Jesus’ redemptive death on the cross as a sacrificial lamb offered for the sins of the World. Nothing God does is by happenstance but everything God does has a meaning, a purpose and a plan. 5 God says that when He sees the blood on our houses He will Passover us, the blood symbolizes the Blood of Jesus and His saving us from the curse, death and Hell. 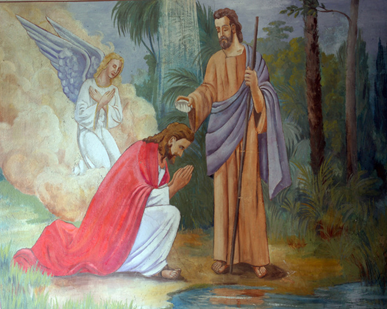 John the Baptist is a central figure in the mission of Jesus Christ. John was the forerunner who was prophesied to come before the messiah to prepare the way of the Lord. John came in the spirit and power of the prophet Elijah to prepare the way of the Messiah, Jesus Christ. John fulfills this prophecy in Isaiah 40:3 “The voice of him that crieth in the wilderness, Prepare ye the way of the LORD, make straight in the desert a highway for our God”. John lived in the desert wilderness and he was one of the greatest of all the prophets for He is one who was to prepare the way of the Lord. 5 People went out to him from Jerusalem and all Judea and the whole region of the Jordan. 6 Confessing their sins, they were baptized by him in the Jordan River. John’s role as a baptizer is why He is referred to as John the Baptist. John was getting the people ready to receive their Lord and Savior and he is also the one who Baptized Jesus. After John baptizes Jesus, He sees the Spirit of God descending upon Jesus like a dove and remaining on Him. He also heard a Voice from Heaven say, this is my Beloved Son, In Whom I am well pleased. You cannot get a clearer more direct answer of who Jesus is, than to have God speak from Heaven and confirm, Jesus is His Son, the Messiah. John preached with such power and passion that the religious the leaders of his time came to inquire and see who in fact John was. They wanted to know if John was the Messiah or if He was the Prophet Elijah, Elijah is prophesied in scripture to come before the Messiah. Elijah shall indeed come before the second coming of Jesus Christ but John was the forerunner for the Messiah Jesus’ first coming. The Messiah has a first and second coming with two very distinct missions; Jesus’ first coming was to bring Salvation to World but His second coming will be to defeat the enemies of God and set up His Eternal Kingdom here on Earth. John the Baptist knew his role and his mission. Part of John’s mission was to point out to those around Him and to the World, “Who is Jesus”. You cannot fully tell who Jesus is without including the witness of John the Baptist. John was the first person to publically proclaim Jesus as the Lamb of God, the Messiah (Son of God), who takes away the sins of the World. When John sees Jesus, He says “Behold the Lamb of God, which takes away the sin of the World”. John the Baptist introduces two of his followers to Jesus by saying Behold the Lamb of God. These two disciples realize that they must now follow Jesus. One of these two disciples was the Apostle John. The very first disciples of Jesus was introduced to Him as the “Lamb of God”. The name “The Lamb of God” takes the Old Testament prophetic scriptures and fulfills them in the New Testament, with the Lamb of God appearing in the flesh, to take the sins of the World. Jesus is referred to as The Lamb at least 27 times in the book of Revelation. This is a key revelation to the fact that Jesus is going to be referred to as The Lamb of God for all Eternity. 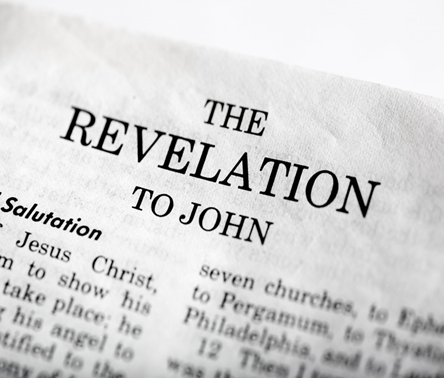 The book of Revelation is a book that was written with Jesus Himself present many years after His resurrection in great power and glory and giving a literal open vision to the Apostle John. It is important for us to remember that the Word of God teaches us that the Lamb was slain before the foundations of the World. This is a very important TRUTH. According to God’s Word Jesus was ordained to give His life as The Lamb of God in order to take away our sins before the World was ever created. Read in Revelation 13:8 “the Lamb slain from the foundation of the world”. Therefore what is responsible for Jesus’ Death? Sin! The Jews and the Romans cannot be blamed for the death of Jesus. Of course people from these two cultures had roles in the crucifixion but this was the actions of a few people with those cultures and we must remember that it was ordained by God for Christ to die in this manner. Some of the Jews had roles and so did the Romans but it was “the sins of us all” that led to Jesus having to die in the manner that He did. If you want to hate or blame anything for the death Jesus, hate sin, that is why the Lamb of God died, to take away the sins of the World. Jesus teach us in John 10:17 The reason my Father loves me is that I lay down my life—only to take it up again.18 No one takes it from me, but I lay it down of my own accord. I have authority to lay it down and authority to take it up again. This command I received from my Father.” The entire Bible was written by Jewish men who were inspired by God, full of faith, and we all should love Israel because of their role in giving the World the Bible and our Savior, Jesus Christ. We must remember that Jesus is the Lamb of God, whose death was predestined before the World was ever created. The Lamb is more than just a descriptive phrase for Jesus, it is the one name and title that embodies Jesus’ role as the one and only true Redeemer for each and every person in the whole World; past, present and future. 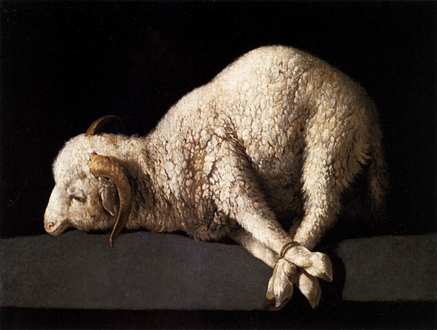 The picture of the Lamb has been on that God has used all throughout the Old and New Testament. Isaiah is one of most powerfully prophetic in the Bible, and this book has many Messianic scriptures that describe the characteristics of the Messiah. 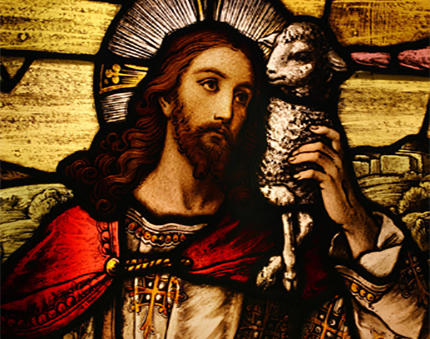 The word lamb is first mentioned to describe the Messiah as person in the Book of Isaiah. When describing the Messiah, Isaiah gives these characteristics in Isaiah 53: 7He was oppressed, and he was afflicted, yet he opened not his mouth: he is brought as a lamb to the slaughter, and as a sheep before her shearers is dumb, so he openeth not his mouth. 8He was taken from prison and from judgment: and who shall declare his generation? for he was cut off out of the land of the living: for the transgression of my people was he stricken. The characteristics of a lamb that symbolize Jesus as the Messiah are that: a lamb is very obedient to their master, a lamb is very humble, a lamb is not rude, a lamb is very gentle creature, a lamb is not rebellious, a lamb is willing to follow their master, a lamb is a very innocent creature and lamb is harmless. A lamb without spot and blemish was used in the Old Testament for the Passover lamb supper and Jesus is the Lamb of God that takes away the sin of the World. The death of Jesus even took place near time the Passover observance. 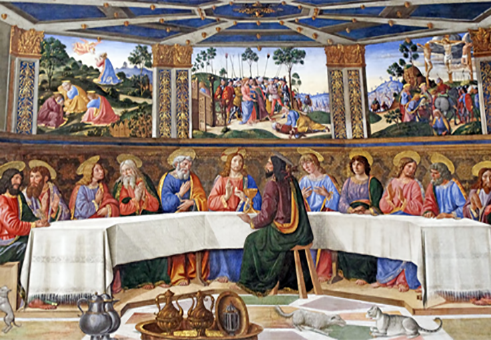 The Last Supper is the When Jesus identifies Himself the Passover Lamb. He knew what His mission was and He knew Him time was to be offered as the atoning sacrifice for the sins of the World was at hand. 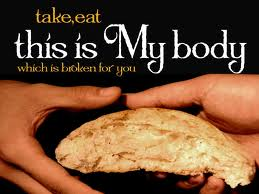 He said that the unleavened bread was His body, unleavened symbolizes purity, sinless and Holy. 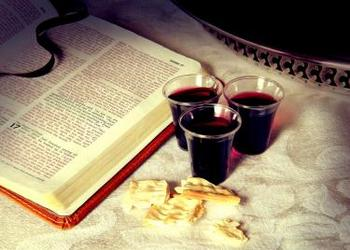 The cup of grape wine they drank represented the Blood of Jesus, which is shed for the sin of the World. It is important for us to remember that the Word of God teaches us that the Lamb was slain before the foundations of the World. The is a very important TRUTH. According to God’s Word Jesus was ordain to give His life as The Lamb of God in order to take away our sins before the World was ever created. Read in Revelation 13:8 the Lamb slain from the foundation of the world. Therefore what is responsible for Jesus Death? Sin! The Jews and the Romans cannot be blamed for the death of Jesus. Of course people from these two cultures had roles in the crucifixion because it was ordained for Christ to die in this manner. Some of the Jews had roles and so did the Romans but it was “the sins of us all” that led to Jesus have to die in the manner that He did. If you want to hate anything for the death Jesus, hate sin, that is why the Lamb of God died, to take away the sins of the World. Jude 1:23 And others save with fear, pulling them out of the fire; hating even the garment spotted by the flesh. 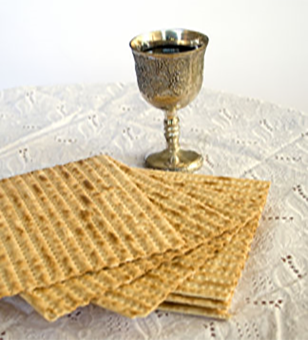 Jesus is the Passover Lamb we now have what is called the Lord’s Supper and Communion by many Christians today. People often take Communion but they don’t know the reason or the true meaning of the sacred and solemn occasion. When we take Communion, this is the Body of Blood of the Passover Lamb, Jesus Christ. If should be done reverently and respectfully, with the Fear of the Lord. We are to do this in Remembrance of His death. Jesus also said He would not drink of the fruit of the vine until the day that He drinks is new with us, His Children, in the Kingdom of God. This gives us the realization that Jesus’ role as our Passover Lamb is an Eternal role, that we will honor forever.